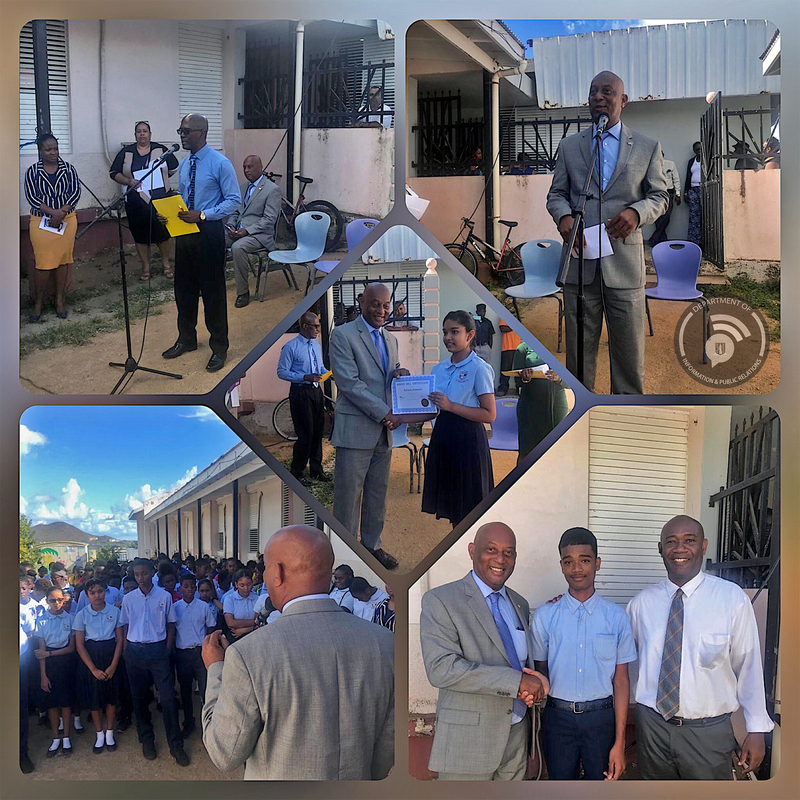 Minister for Natural Resources, Labour and Immigration and Representative for the Ninth District Honourable Vincent Wheatley visited the Bregado Flax Educational Centre Secondary Division on Friday, March 15 for its Honour Roll prize giving ceremony. The event began with the rendering of the National Anthem and Territorial Song by Ms. Nickiya Vanterpool, and welcome remarks by Principal Mr. Hilroy George. The educational centre’s choir performed a song and remarks were delivered by the Honourable Wheatley who also assisted the homeroom teachers of the different grades with the distribution of certificates. The event was chaired by Mr. Frank Jones of the Science Department.